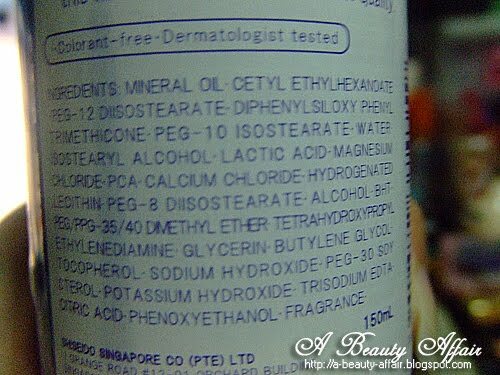 The first ingredient on this product is mineral oil and I know some people are really skeptical over products containing mineral oil. But personally, I do not find this pore clogging at all. 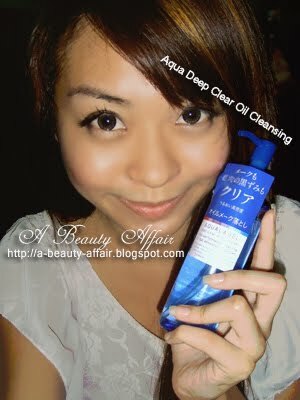 Afterall, it is just a makeup remover in which you will have to wash your face with water. I take 1-2 cotton pads to remove all makeup though the instructions on the bottle did state that I could use my bare dry or wet hands to massage away the makeup. The suggested amount to use was 3 pumps but I felt that 1 pump was more than sufficient for 1 cotton pad. 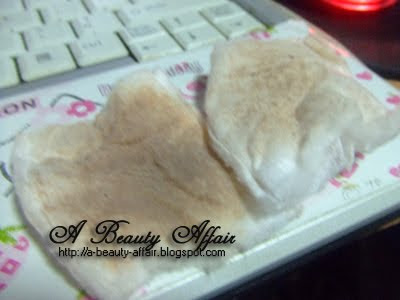 What I'll usually do is to use 1 cotton pad to remove all makeup and another cotton pad to swipe away the residue (of makeup and oil traces). I feel that it works better this way for me because there is still a slight greasy residue after the first swipe. However, overall there is no unpleasant sticky or oily after feel. In conclusion, I find it affordable (S$18.50 for 150ML) and a product that works. 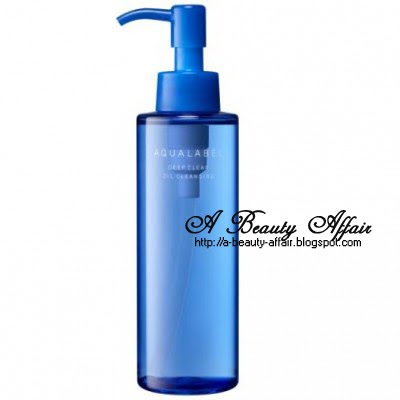 It's cleans effectively and does not cause me to breakout. I'm pretty much digging this product.